You will also find great coaching stories in the Group of Five this year like Jeff Monken at Army, Bryan Harsin at Boise State, Bill Clark at UAB and more. The G5 has a ton of great coaches that are positioning themselves for bigger contracts and possible moves into the Power Five. We will show every coach ranking within their team profiles, for those that we do. 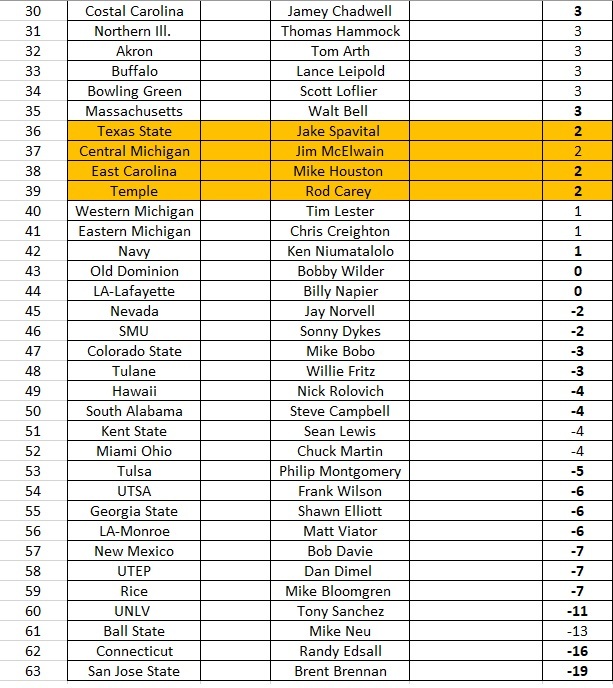 Below are our 2019 overall coaching rankings for the Hourglass.